When many think of cleaning and sanitizing a food manufacturing facility, the first thought is usually the equipment. While this is an essential part of cleaning and sanitation, it is not the only one to keep in mind. 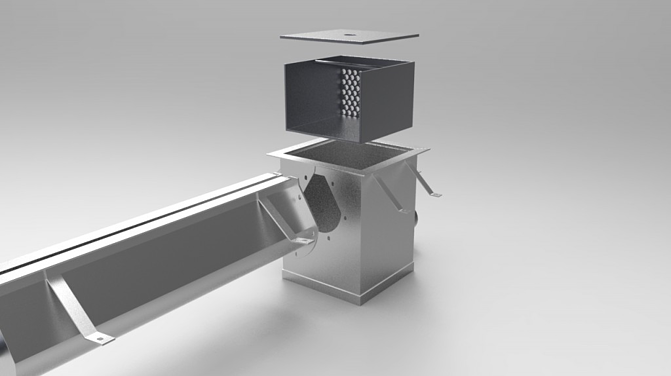 Another incredibly important factor is clean drainage for food manufacturing facilities. Drains and drainage system are often overlooked when it comes to cleaning these facilities. But, drains are notorious for harboring dangerous foodborne pathogens like Listeria, Salmonella, and E.coli if they are not cleaned properly. So, it is essential that facilities take the time to properly clean and sanitize every part of the facility, from the light fixtures right down to the drains. It is just as important to clean the floors of a facility as it is to clean the equipment and drains. Floors, like other areas, can harbor harmful bacteria and other kinds of contaminants. These contaminants can get kicked up by workers and equipment moving around, which can cause them to land on the food product and contaminate it. To best clean the floors of a food facility, you first need to sweep the floors of any dust or loose debris. These particles, as mentioned before, can cause many issues if not removed, including contamination and attracting things like insects and rodents. Sweeping will also allow the cleaning solutions you use to cover the floor better, ensuring all potential bacteria is removed. From there, you want to wet the floor before applying any necessary cleaning solutions. When it comes to these cleaning solutions, it is important that you follow the instructions provided for the best results, including rinsing off the solutions when necessary. Finally, you want to apply a sanitizer to the floor to finish the cleaning process. 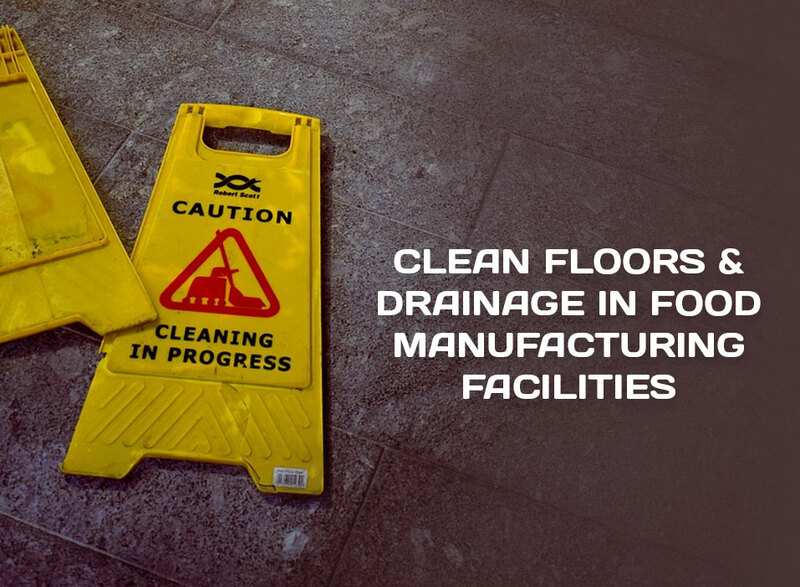 Once the floors of your facility are clean, you want to focus on cleaning the drain system. 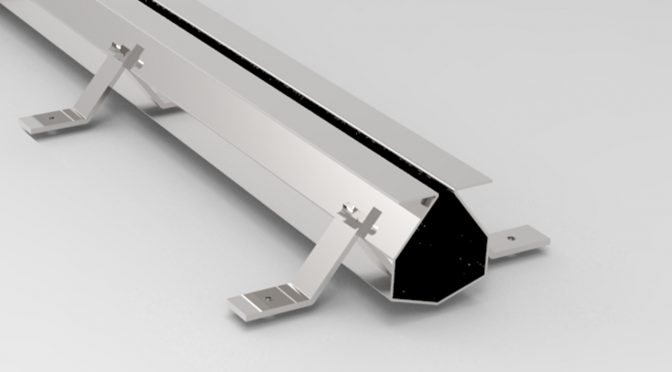 Clean drainage for food manufacturing facilities is critical, as it helps to ensure there is no harmful bacteria or other contaminants growing within the drain. Cleaning your facility’s drains requires time and care to help ensure that no particles are left behind. If you have a traditional drainage system, you have to first remove the grate cover, the strainer, and quat block if your system has one. These require separate rinsing out and disinfecting, but cannot go back in until the rest of the drain is cleaned. Once you have taken out these parts, you want to carefully scoop out any large debris to prevent and blockages from happening. Then, you want to rinse out the remaining debris with warm water and an appropriate cleaning agent. You may also have to use a drain brush to scrub the walls of the drain channel to completely remove all of the build-up and debris that may be in the drain. Then you want to rinse the drain one last time, before applying a sanitizing solution. Once you have done that, the job is done, and you can replace the clean strainer, quat block, and drainer. After that, you also want to take some time to clean and sanitize your cleaning tools so that they are ready for next time. Many steps go into cleaning a drainage system, especially if you go with something traditional. The grate covering on these systems is one particular issue as they are heavy, breakable, and add to the cleaning process. Fortunately, there is a new drainage system on the market, making drain more efficient and easier to maintain. 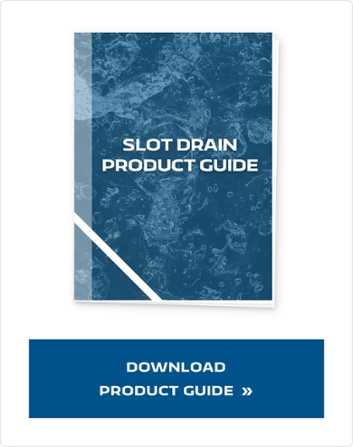 The Slot Drain System is a great option for food facilities due to the food-grade stainless steel drain channel as well as the grate-free design. It is a highly durable system resistant to corrosion and bacteria and is even able to withstand extreme temperatures. Added to that, the other major draw of the Slot Drain System is how easy it is to clean and maintain. Due to the grateless design, cleaning a Slot Drain System, it takes only minutes to clean and is a job that does not require more than a couple of workers. The process is made even easier with options like Flush Flo and Clean in Place, which allows for a more automatic cleaning process. Alternatively, there is the manual cleaning option, where you use a paddle to regularly clean the drain. With this method, you just have to insert the paddle and turn it, before pushing it through the length of the channel to push any debris or waste into the strainer basket. Then, you just have to rinse, apply the cleaning solution, and sanitize as necessary. Clean drainage for food manufacturing facilities is critical and necessary for the facility to have the legal right to function. Without a clean drainage system, the facility is open to a whole host if sanitation issues and the potential for harmful bacterias proliferates. Instead of allowing this to happen, and for that bacteria to contaminate your food product, you should work to keep your facility, including your drains clean and properly sanitized. That way, you can be confident your facility is safe, healthy, and clean, not just for your food product, but your workers as well.